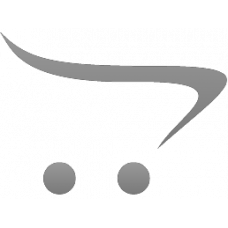 Why Buy Zandopa from Ayurvedaforall? 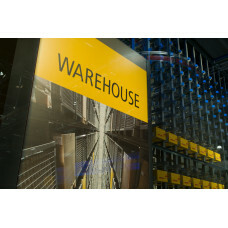 In operation since 2006 with 100's of satisfied customers. Guaranteed delivery or your money. Zandopa made from mucuna pruriens- a readily bioavailable natural source of L-Dopa. In parkinson's disease Zandopa -a natural source of dopamine. Appropriate treatment helps to keep the patient working and enjoying active life for many years. With proper medication, patience, and perseverance to stay active, your sign and symptoms can be controlled for many years. Always allow ample time for each day to day activity so that you need not hurry. Do not get discouraged if exercises or activities seem difficult on some days. Do every thing you can yourself, no matter how slowly. Concentrate on one activity at a time, and avoid trying to do two things at one time. Continue a simple program of exercises on a regular basis. Each 7.5gm contains - Standardized processed seed powder of Kauncha (Mucuna pruriens) 6.525 gm in a flavored base. In half a glass of water (approx - 100ml) suspend prescribed dose powder, stir and drink immediately. 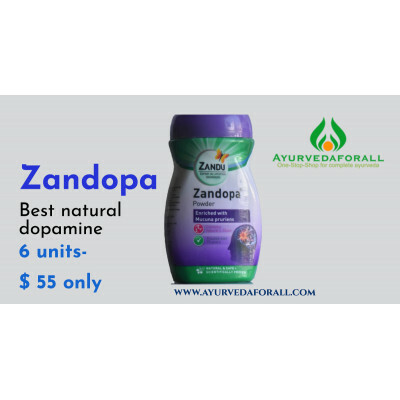 Zandopa is an herbal remedy for the treatment of Parkinson’s disease from Zandu pharmaceuticals, India. It is a water soluble powder sourced from a plant called 'Mucuna pruriens' which contains a natural source of Levadopa. Mucuna pruriens is one of the popular Ayurvedic herbs, also known as velvet bean or cowhage. This herb contains L-Dopa, a precursor to the neurotransmitter dopamine. Zandopa is a standardized, safe, effective & economical natural source of levadopa and can effectively replace Synthetic L-dopa formulations in patients who comply with its dosage regimen. It does not have any side effects of a regular synthetic L Dopa and can also improve the overall functions of the body. The seed powder of this plant has long been used in traditional Ayurvedic Indian medicine for diseases including Parkinsonism. The pharmacological action of Zandopa is due to action of levodopa on the brain. Zandopa also favorably influences the psychic behaviors producing a sense of well-being, an increased interest in self and surroundings. After initial treatment regimen, the beneficial effects of Zandopa can be maintained for prolonged periods by smaller maintenance dose. Zandopa is useful in curing various diseases like Parkinson’s disease, fertility, sexual enhancement, arthritic disorder and nervous disorders. It does not have any side effects except for minor ones like Increased body temperature on taking high doses. Other possible side effects of high dose mucuna pruriens include insomnia and rapid heart beat. What are the side effects of using Zandopa ? Why is so unique about Zandopa? Zandopa is an ayurvedic formulation derived from the seeds of Mucuna pruriens. 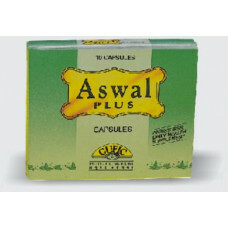 Long history of use in Ayurvedic practice for CNS disorders and also as a geriatric tonic. Natural and richest known source of L-dopa. More readily bioavailable than synthetic L-dopa. Does Zandopa's flavoured base contain sugar? What is the alternative for Zandopa - without sugar? The supplement manufactured by Emami Ltd India ( previously Zandu Pharmaceuticals) contains pure Mucuna pruriens powder in a flavored base. Every 7.5 gms contains 6.5 gms of Mucuna powder in a flavored base. Parkinsons' disease is a degenerative disease affecting nerve cells in the substantia nigra. These nerve cells produce the neurotransmitter dopamine and dopamine, plan and control the body movements. In PD, the nerve cells are damaged and dopamine levels are dropped and result in slow and progressive movement disorders. The tremors and stiffness are the first symptoms and it progresses to the severe symptoms. Zandopa contains natural Dopamine and the drop in the level of neurotransmitter Dopamine in the body is substituted by the natural dopamine present in the mucuna beans. The bioavailability of the dopamine in Mucuna is high compared to the synthetic dopamine. A study published in the Journal of Neurology, Neurosurgery and Psychiatry Vol 75, Issue 12 confirms this factor. There is no concrete theory answering the reason for the cells damaged in the Substantia nigra, but oxidative stress is the most believable hypothesis. The research paper published in the European Bulletin of Drug Research. Volume 13, N° 1, 2005 confirms the methanol extract of Mucuna pruriens(MEMP) seeds showed strong antioxidant activity by inhibiting DPPH and hydroxyl radical, nitric oxide and superoxide anion scavenging, hydrogen peroxide scavenging, and reducing power activities when compared with different standards such as BHT, L-Ascorbic acid, Curcumin, Quercetin, and a-tocopherol. 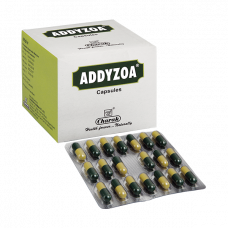 The regular intake of Zandopa controls the oxidative changes in the brain and arrests the progression of the disease. 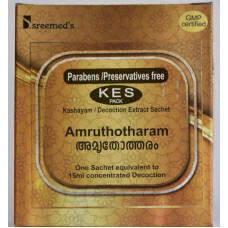 Along with other Ayurvedic preparations like Dhanwantharam 101 Avarthi, Kshirabala 101 Avarthi one can improve the quality of life in Parkinson's. This is confirmed in the study The Ayurvedic drug Ksheerabala (101) ameliorates alcohol-induced neurotoxicity by down-regulating the expression of transcription factor (NFkB) in rat brain conducted by S. Rejitha, P. Prathibha, and Indira Madambath published in Ayu. 2015 Jul-Sep; 36(3): 323–328. The symptoms of Parkinson's is compared with the classical reference of Kampa Vata in Ayurveda. Kampa vata is Paralysis agitans, but when we refer the pathology and causes, the ayurvedic classics are referring Parkinson under a different name in the Vata vyadhi- Rheumatic disorders. A study conducted 'Paralysis agitans and levodopa in “Ayurveda”: Ancient Indian medical treatise' by Dr. Bala V Manyam and published in https://doi.org/10.1002/mds.870050112 confirms the effect of Mucuna. The absence of dopamine caused by the nerve damage is the basic reason for the PD and in Ayurveda, Vata is responsible for the transmission of messages through the nerves. Any obstruction to this process is due to the vitiation of Vata factor. So Ayurvedic treatment is aimed to treat vitiated Vata and Mucuna is the most potent drug in this context. A study conducted by Ghazala Hussian,Bala V. Manyam confirms the Mucuna pruriens proves more effective than L- Dopa in Parkinson's disease animal model. The interesting finding of this study is that Mucuna pruriens contain unidentified antiparkinsonian compounds in addition to L- Dopa or it may have adjuvants that enhance the efficacy of L-Dopa. 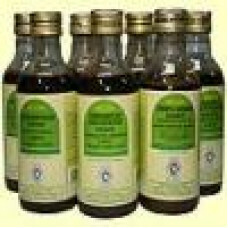 This happens in some other herbs like Sida retusa where unpredictable results are obtained in the rheumatic disorders. PD is a chronic disease and requires long term medication. The serious side effects of synthetic dopamine are discussed worldwide. The research published in https://www.researchgate.net by Günter U Höglinger, Pamela Rizk1, Marie P Muriel1, Charles Duyckaerts, Wolfgang H Oertel, Isabelle Caille & Etienne C Hirsch on Dopamine depletion impairs precursor cell proliferation in Parkinson disease discusses an angle of dopamine side effect. The effect of the long term therapy of levodopa is discussed in the research Attenuation of levodopa-induced dyskinesia by normalizing dopamine D3 receptor function conducted by Erwan Bézard, Sandrine Ferry, Ulrich Mach, Holger Stark, Ludovic Leriche, Thomas Boraud, Christian Gross & Pierre Sokoloff and published in https://www.nature.com/articles/nm875. In the other hand, Mucuna posses neuroprotective property which was confirmed in a research conducted by Bala V. Manyam, Muralikrishnan Dhanasekaran and Theodore A. Hare. 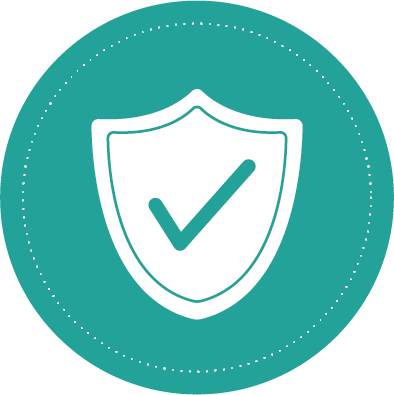 For a long term drug, the property of neuroprotection is an advantage and no adverse effects have been reported. Most of the long term medications induce metabolic disorders like diabetes and worsen the condition of the patient. The mucuna seeds posses anti-diabetic property. This was evaluated in the clinical study Antidiabetic evaluation of Mucuna pruriens, Linn seeds conducted by Akhtar MS, Qureshi AQ, Iqbal J and published in JPMA. The Journal of the Pakistan Medical Association [01 Jul 1990, 40(7):147-150]. Parkinson disease in long run reduces sexual power and libido. Mucuna powder addresses this issue also. Mucuna pruriens (Fabaceae) is an established herbal drug used for the management of male infertility, nervous disorders, and also as an aphrodisiac. The study " The Magic Velvet Bean of Mucuna pruriens" conducted by Lampariello LR, Cortelazzo A, Guerranti R, Sticozzi C, Valacchi G and published in the Journal of Traditional and Complementary Medicine [01 Oct 2012, 2(4):331-339] confirms the effect of Mucuna as an aphrodisiac. The safety of Mucuna pruriens was established in the study Forestalling the Epidemics of Parkinson's Disease Through Plant-Based Remedies conducted by Viduranga Y Waisundara, Svetlana Tomic, Tihana Marcek, Ines Banjari and published in Frontiers in Nutrition [30 Oct 2018, 5:95]. All known precautions and contraindications as applicable to synthetic L-dopa formulation should also be followed while prescribing Zandopa. Monoamine oxidase inhibitors, if taken by patients, must be discontinued at least 2 weeks prior to the institution of Zandopa therapy. Periodic screening of hepatic, hematopoietic, cardiovascular and renal functions are recommended during extended therapy with Zandopa. Zandopa should be administered with caution in severe cardiovascular or pulmonary disease, bronchial asthma, renal, hepatic, or endocrine disease and in presence of peptic ulcer or chronic narrow-angle glaucoma. Composition: Each 7.5gm contains - Standardized processed seed powder of Kauncha (Mucuna pruriens) 6.525 gm in a flavored base. 7.5 gms twice or thrice daily mixed with water In a half glass of water (approx.100ml) suspend prescribed dose of powder, stir and drink immediately. A measure of 7.5gm (approx.) is provided in the container. Zandopa powder is readily soluble in water. Patients who can’t swallow the bulk may be advised to stir the powder in water for nearly one minute and strain to a container. Clear solution thus obtained may be consumed by the patient. Results show compared with standard LD/CD, the 30 g mucuna preparation led to a considerably faster onset of effect (34.6 v 68.5 min; p?=?0.021), reflected in shorter latencies to peak l-dopa plasma concentrations. Mean on time was 21.9% (37 min) longer with 30 g mucuna than with LD/CD (p?=?0.021); peak l-dopa plasma concentrations were 110% higher and the area under the plasma concentration v time curve (area under curve) was 165.3% larger (p?=?0.012). 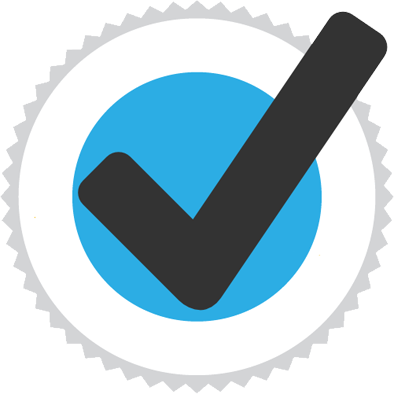 No significant differences in dyskinesias or tolerability occurred. A study conducted by Ghazala Hussian, Bala V. Manyam confirms the Mucuna pruriens proves more effective than L- Dopa in Parkinson's disease animal model. The interesting finding of this study is that Mucuna pruriens contain unidentified antiparkinsonian compounds in addition to L- Dopa or it may have adjuvants that enhance the efficacy of L-Dopa. Research conducted by Bala V. Manyam, Muralikrishnan Dhanasekaran, Theodore A. Hare confirms the Neuroprotective effects of Mucuna pruriens. The research paper published in the European Bulletin of Drug Research. Volume 13, N° 1, 2005 confirms the methanol extract of Mucuna pruriens(MEMP) seeds showed strong antioxidant activity by inhibiting DPPH and hydroxyl radical, nitric oxide and superoxide anion scavenging, hydrogen peroxide scavenging, and reducing power activities when compared with different standards such as BHT, L-Ascorbic acid, Curcumin, Quercetin, and a-tocopherol. In addition, the MEMP found to contain a noticeable amount of total phenols, which play a major role in controlling antioxidants. The results of this study show that the MEMP can be used as an easily accessible source of natural antioxidants and as a possible food supplement or in the pharmaceutical industry. However, the components responsible for the antioxidant activity of MEMP are currently unclear. Therefore, it is suggested that further works should be performed on the isolation and identification of the antioxidant components in MEMP. Neurologic diseases (Vata rogas, Sanskrit) and the pharmacologic treatment of them were described in the ancient Indian medical system—Ayurveda. This article explores paralysis agitans, which was described under the name Kampavata. Mucuna pruriens (Atmagupta, Sanskrit), which contains levodopa, was used in the treatment of Kampavata. The existence of paralysis agitans prior to the industrial revolution is not just of historical interest, but would also suggest that under the hypothesis of exposure to environmental toxins as a possible cause of paralysis agitans, natural organic compounds with worldwide distribution should also be considered. Antidiabetic evaluation of Mucuna pruriens, Linn seeds. Effects of powdered Mucuna pruriens seeds on blood glucose levels were investigated in normal and alloxan-diabetic rabbits. In normal group 0.5, 1 and 2 g/kg of M. pruriens pull significantly decreased the blood glucose levels while in alloxan-diabetic rabbits only 1 and 2 g/kg body weight caused a significant fall. The reference drug, acetohexamide in 500 mg/kg dose significantly reduced the blood glucose levels but in normal rabbits only. High levels of trace elements like manganese, zinc, and others were found in these seeds. Therefore, it is conceivable that M. pruriens seeds contain hypoglycaemic principles, may be both organic and mineral, which seem to act indirectly by stimulating the release of insulin and/or by direct insulin-like action. The Magic Velvet Bean of Mucuna pruriens. Mucuna pruriens (Fabaceae) is an established herbal drug used for the management of male infertility, nervous disorders, and also as an aphrodisiac. It has been shown that its seeds are potential for substantial medicinal importance. The ancient Indian medical system, Ayurveda, traditionally used M. pruriens, even to treat such things as Parkinson's disease. M. pruriens has been shown to have antiparkinson and neuroprotective effects, which may be related to it’s the anti-oxidant activity. In addition, the anti-oxidant activity of M. pruriens has been also demonstrated in vitro by its ability to scavenge DPPH radicals and reactive oxygen species. In this review, the medicinal properties of M. pruriens are summarized, taking in consideration the studies that have used the seeds extracts and the leaves extracts. Forestalling the Epidemics of Parkinson's Disease Through Plant-Based Remedies. Parkinson's disease (PD) as the second leading neurodegenerative disease, imposes a heavy burden among individuals as well as economies worldwide. The main characteristics of PD is a progressive loss of dopaminergic neurons resulting in the loss of motor function, the occurrence of non-motor symptoms, and cognitive decline. Similar to many other chronic diseases, complementary and alternative therapies (CAT) are very popular for the treatment of this disease. This review evaluates six plants, three each from European and Asian traditional medicinal systems: (1) Atropa belladonna, (2) Hyoscyamus niger, (3) Lepidium meyenii, (4) Asparagus racemosus, (5) Mucuna pruriens L., and (6) Gingko Biloba. Atropa belladonna and Hyoscyamus niger, in particular, are better known for their poisonous and narcotic effects than as potentially effective plants for the treatment of neurodegenerative diseases. Ginkgo biloba is one of the most widely cultured plants in Traditional Chinese Medicine with high antioxidant potential which contributes to its neuroprotective/ anti-apoptotic activity. The bioactive compounds, anti-neurodegenerative effects and other neuroprotective effects of all six plants are discussed herein. Levodopa-Reduced Mucuna pruriens Seed Extract Shows Neuroprotective Effects against Parkinson's Disease in Murine Microglia and Human Neuroblastoma Cells, Caenorhabditis elegans, and Drosophila melanogaster. Mucuna pruriens (Mucuna) has been prescribed in Ayurveda for various brain ailments including 'kampavata' (tremors) or Parkinson's disease (PD). While Mucuna is a well-known natural source of levodopa (L-dopa), published studies suggest that other bioactive compounds may also be responsible for its anti-PD effects. To investigate this hypothesis, an L-dopa reduced (<0.1%) M. pruriens seeds extract (MPE) was prepared and evaluated for its anti-PD effects in cellular (murine BV-2 microglia and human SH-SY5Y neuroblastoma cells), Caenorhabditis elegans, and Drosophila melanogaster models. In BV-2 cells, MPE (12.5?50 µg/mL) reduced hydrogen peroxide-induced cytotoxicity (15.7-18.6%), decreased reactive oxygen species production (29.1-61.6%), and lowered lipopolysaccharide (LPS)-induced nitric oxide species release by 8.9?60%. MPE (12.5-50 µg/mL) mitigated SH-SY5Y cell apoptosis by 6.9-40.0% in a non-contact co-culture assay with cell-free supernatants from LPS-treated BV-2 cells. MPE (12.5-50 µg/mL) reduced 6-hydroxydopamine (6-OHDA)-induced cell death of SH-SY5Y cells by 11.85? 38.5%. Furthermore, MPE (12.5-50 µg/mL) increased median (25%) and maximum survival (47.8%) of C. elegans exposed to the dopaminergic neurotoxin, methyl-4-phenylpyridinium. MPE (40 µg/mL) ameliorated dopaminergic neurotoxin (6-OHDA and rotenone) induced precipitation of innate negative geotaxis behavior of D. melanogaster by 35.3 and 32.8%, respectively. Therefore, MPE contains bioactive compounds, beyond L-dopa, which may impart neuroprotective effects against PD. Biochemical characterization and spatiotemporal analysis of the putative L-DOPA pathway in Mucuna pruriens. MAIN CONCLUSION: Transcriptome analysis and biochemical characterization of the putative l-3,4-dihydroxyphenylalanine (l-DOPA) pathway in Mucuna pruriens (L.) DC has been performed. Spatio-temporal quantification of the putative l-DOPA biosynthetic pathway genes and its correlation with respective metabolites was established. l-tyrosine, l-DOPA, and dopamine from all plant parts were quantified. The de novo transcriptome analysis was performed using leaves of the selected M. pruriens mutant T-IV-9 during maturity. The putative L-DOPA pathway and its regulatory genes were retrieved from transcriptome data and the L-DOPA pathway was biochemically characterized. The spatial and temporal gene expression for the L-DOPA pathway was identified with respect to the chemical constituents. L-tyrosine, L-DOPA, and dopamine contents were highest in leaves during maturity (about 170-day-old plants). The polyphenol oxidase (PPO) was highly expressed in tender stems (230-fold higher as compared to seeds) as well as a high L-DOPA content. The PPO gene was highly expressed in leaves (3367.93 in FPKM) with a 79-fold increase compared to control plants during maturity. L-DOPA was found in every part with varying levels. The highest L-DOPA content was found in mature dried seed (3.18-5.8%), whereas the lowest amount was recorded in mature and dried leaves. The reproductive parts of the plant had a higher amount of L-DOPA content (0.9-5.8%) compared to the vegetative parts (0.2-0.91%). Various amino acid transporters and permeases were expressed in M. pruriens. The transcripts of dopa decarboxylase (DDC) were found in almost all parts of the plant, but its higher content was limited to the leaf. Development and validation of an LC-MS/MS method for simultaneous quantification of levodopa and MD01 in rat plasma and its application to a pharmacokinetic study of mucuna pruriens extract. Mucuna pruriens, an ancient Indian herbal medicine containing levodopa, is widely used for Parkinson's disease. In order to simultaneously determine levodopa and 1,1-dimethyl-3-carboxy-6,7-dihydroxy-1,2,3,4-tetrahydroisoquinoline (MD01) in rat plasma, an improved LC-MS/MS method was developed and validated for a pharmacokinetic study in rats orally administered levodopa or Mucuna pruriens extract (MPE). Elimination of matrix effect and improvement of extraction recovery were achieved through systematic optimization of reversed-phase and hydrophilic interaction chromatographic conditions together with sample clean-up procedures. The satisfactory chromatographic performance was obtained with a Thermo Aquasil C18 column (50?×?2.1?mm, 3? µm) using acetonitrile and water containing 0.2% formic acid as mobile phases. Furthermore, sodium metabisulfite and formic acid were used as stabilizers in neat solutions as well as rat plasma. The method was validated in a dynamic range of 20.0-10,000? ng/mL for levodopa and MD01; the intro- and inter-day precision and accuracy were acceptable. The method was successfully utilized to determine the levodopa level in plasma samples of rats administered levodopa or MPE. Pharmacokinetic results showed that an increase in the AUC of levodopa was observed in rats following oral administration of multiple doses of MPE. Mucuna pruriens is the best known natural source of L-dopa, the gold standard for treatment of Parkinsonism. M. pruriens varieties are protein-rich supplements and are used as food and fodder worldwide. Here, we report L-dopa contents in seeds of fifty-six accessions of four M. pruriens varieties, M. pruriens var. pruriens, M. pruriens var. hirsuta, M. pruriens var. utilize and M. pruriens var. thekkadiensis, quantified by HPTLC-densitometry. L-dopa contents varied between 0.58 to 6.42 (%, dr. wt.). High and low L-dopa yielding genotypes/chemotypes of M. pruriens could be multiplied for medicinal and nutritional purposes, respectively. HPTLC profiles of M. pruriens seeds on repeated extraction (24?h) in 1:1 formic acid-alcohol followed by development in butanol:acetic acid:water (4:1:1, v/v) showed consistent degradation of L-dopa (Rf 0.34?±?0.02) into a second peak (Rf 0.41?±?0.02). An average of 52.11% degradation of L-dopa was found in seeds of M. pruriens varieties. Since M. pruriens seeds and/or L-dopa are used for the treatment of Parkinson’s disease and as an aphrodisiac both in modern and/or traditional systems of medicine, the finding of the high level of L-dopa degradation (in pure form and in M. pruriens extracts) into damaging quinones and ROS is very significant. 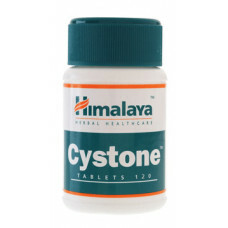 Action: Prevents stone formation in the urinary tract. 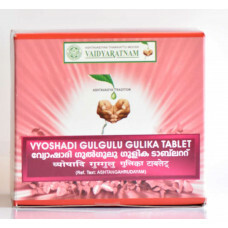 Normalizes acidic urine and relieves bur..
Benefits, Indications, Ingredients, Dosage, Side Effects, Research Papers and FAQs of Aswal Plus..
What is Vyoshadi Guggulu used for?Vyoshadi Guggulu is a really famous Ayurvedic medication in pill f..